In collaboration with Cafleurebon blog I am announcing a new scent today, a floral called Yin & Ylang. Michelyn Camen, Editor In Chief of Cafleurebon, had contacted me with the idea for this scent about a year ago, and I’m happy that it is now done! The notes are bergamot, blood orange, soft aldehydes, beeswax absolute, ylang complete oil, jasmine sambac absolute, tuberose absolute, rose damascones, ginger CO2, Mysore sandalwood oil, oakmoss absolute, amber, patchouli, vanilla, and musk. Today, Cafleurebon has the full backstory plus a drawing for samples and one 5 ml travel spray (note the drawing ends March 26). They are celebrating their 4th blog birthday and I am honored to be a part of the celebration. 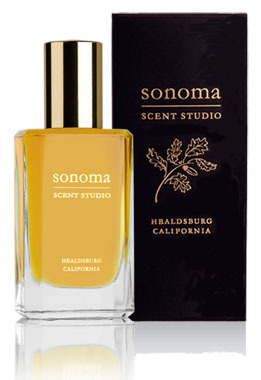 They focus on niche fragrance and support indie fragrance artists, and it is very nice to see their blog flourish. I wish them a happy birthday and many more! 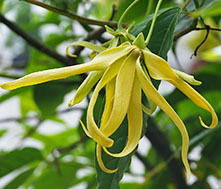 The complete scent description page for Yin & Ylang is now up on my website. I will be adding samples to my site in a few days, and bottles should follow shortly thereafter. You can head over to Cafleurebon to enter the drawing before March 26 and help them celebrate. The top ten finalists were announced today for the artisan and indie categories of the 2013 Institute For Art And Olfaction Awards. This is the first year for the award program and they did an outstanding job of putting together a distinguished group of judges for the blind judging. I did not enter this year because the entries had to be scents created in 2013 and I didn’t want to enter my 2013 natural creations, but I feel very supportive of their program. They made a separate category for artisan perfumers, which is a first for an award program like this. I’m happy to see Lisa Fong (of Artemesia Perfumes), Ellen Covey (of Olympic Orchids), Meredith Smith (of Sweet Anthem Perfumes), and Josh Meyer (of Imaginary Authors) in the top ten artisan group. All are very nice people and are fellow west coast indie perfumers. 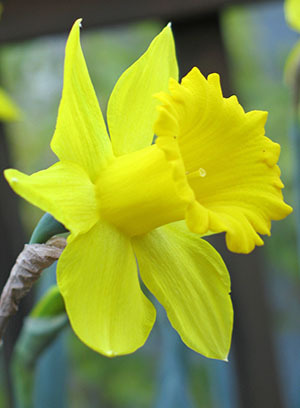 New Scent: The new floral scent is done and I am scaling up, making larger batches. I’ll put the webpage for the new scent online in one week. Samples will be available then, and bottles will be available shortly thereafter. This is the floral scent that I have mentioned a few times here, though I’ve not said a lot about it yet. The rest of the details will be revealed in a week, but the notes list is as follows: bergamot, blood orange, soft aldehydes, beeswax absolute, ylang complete oil, jasmine sambac absolute, tuberose absolute, rose damascones, ginger CO2, Mysore sandalwood absolute, oakmoss absolute, amber, patchouli, vanilla, musk. It is mixed media in a base of organic grain alcohol. Retailer change: I also wanted to explain that going forward I will not be wholesaling to other online shops, so I will be phasing out at Indie Scents and Sweet Anthem. It is not possible to come out ahead at current wholesale prices, and it doesn’t make sense to have my products on other websites when they sell well on my own site. By selling only directly to customers, I can keep my prices where they are instead of having to increase them. If you are planning to buy from either of these sites, now is the time because stock will be running out there. Although it has been a pleasure to work with these retailers, this is the right direction to take with my small indie artisan brand. To reflect this change, I will be changing the names of the collections on the Fragrance page to organize them into three groups: mixed media, naturals, and by request (rather than Boutique, Exclusive, Naturals, and By Request). I have had numerous offers to be carried in boutiques both here and in Europe, but I believe this path is best for me. The EU would involve many other complications as well since it would be expensive to become EU compliant in terms of packaging and paperwork, and my formulas may soon be non-compliant there if more restrictions are imposed. My formulas are complicated and take hours to batch, so it makes sense to have a business model that sells less volume at retail price rather than more volume at wholesale price. I simply can’t produce high volume when making this type of handmade product. I actually prefer staying small and keeping control over the presentation and sale of my brand, so I’m happy with this business model. I’m thankful for the internet, which makes this type of business possible. Edited to add: I just received an email from someone asking if I would be reformulating anything in the near future, and I wanted to give some reassurance here that I have no plans to reformulate anything right now. I do not plan to remove the oakmoss from scents like Incense Pure and Winter Woods or the rose and jasmine from scents like Nostalgie. Most of my scents would not be worthwhile to me without naturals, so they will remain as is until they are retired. I could see having to make minor ingredient changes due to supplier issues, but I don’t want to gut the formulas. That is one of the reasons I don’t think it is wise for me to enter the EU market. To sell in stores in the EU, you must be EU complaint. Customers from the EU can still buy from my online site even if I am not compliant, but to do so requires an answer to the shipping issues (I would love to have a way to do it that would be affordable for customers).